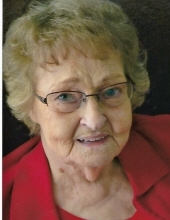 Mrs. Lucy Marion Lile Piper of Greensburg, Kentucky, daughter of the late Albert Lile and Helen Trowbridge Lile, was born on Friday, July 19, 1935 in Green County and departed this life on Wednesday, September 5, 2018 at the Green Hill Rehab and Care Center. She was 83 years, one month, and 17 days of age. She had made a profession of faith in Christ and was a member of the Oak Grove Separate Baptist Church. She was also a retired machine operator for the former Edmonton Manufacturing Company. December 29, 1992 having united in marriage on September 6, 1950. Survivors include a son and daughter-in-law: Curtis and Elaine Piper of Tennessee; a daughter and son-in-law: Elisha and John Beichler of Taylorsville; three grandchildren: Jenny Piper (Dietz Osborne), Andy Piper (Cheryl), Jason Vanarsdall (Laura); six great-grandchildren: Glancy Taylor Piper-Osborne, Katherine Elaine Piper-Osborne, Olivia Grace Piper, Caitlyn Audra Piper, Lawson Vanarsdall, and Ashley Vanarsdall; a brother and sister-in-law: Richard and Marjorie Lile of Hardyville; a sister and brother-in-law: Linda and James Robert Meadows of Glasgow; a special friend: Gale Holland of Greensburg; and a host of other relatives and friends. Mrs. Piper was also preceded in death by a granddaughter: Becky Piper; and three sisters: Mildred Kessler, Roberta Merritt, and Christine Curry. The funeral services for Mrs. Lucy Marion Lile Piper will be conducted at 11:00 A.M., Friday, September 7, 2018 at the Cowherd and Parrott Funeral Home with burial to follow in the Oak Grove Cemetery. Bro. Trent Davis and Bro. Ricky Arnett officiating. Visitation is requested from 4 P.M. until 8 P.M., Central Time, Thursday at the Cowherd and Parrott Funeral Home and after 7 A.M., Friday until time of the funeral service. The family has asked that expressions of sympathy take the form of donations to Hosparus of Green River, which can be made at the funeral home. To plant a tree in memory of Lucy Marion PIper, please visit our Tribute Store. "Email Address" would like to share the life celebration of Lucy Marion PIper. Click on the "link" to go to share a favorite memory or leave a condolence message for the family.